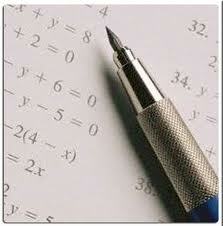 Competitive Exams India, Competitive Examinations, Types of Competitive Exams India. Competitive Exams are central exams were millions of students and individual people attend the exams every year. Competitive Exams in India is intended for recruiting the suitable candidates for a right job and mainly held for public sector organization. The major aspire of this competitive examination is to get suitable and merit candidates from each society in India. Merit is not only the criteria in the selection process. The policy of assenting action or the reservation policy of India seeks to bring in people from every section of the society. Every year a huge number of youthful Indians apply for the Civil Services Examinations to secure their dream jobs in different public sectors. A number of Civil Services Examinations are held in different sectors and each of the examinations has its unique criteria. Eligibility criteria and examination time is vary between job sectors. Reservation criteria for competitive examination /jobs in India. 7.5% seats are reserved for ST (Scheduled Tribes) candidates, 15% seats for SC (Scheduled Caste) Candidates and 27 % seats are reserved for OBC (Other Backward classes) candidates. There is rule passed by Supreme Court that number of reserved seats should not exceed 50% of total number of seats in competitive exams. Competitive examinations in India has played an important role in national amalgamation by bringing candidates from different societies under one roof to applied for same job. Competitive exams in India are source to uplift the social justice. For the allotted seat candidates from al over the country compete and utilize the chance provided.